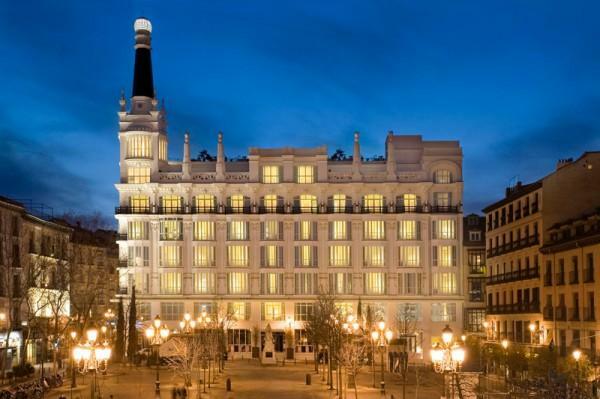 The Hotel Reina Victoria, known as the ME Madrid is a landmark in the center of Madrid, near Puerta del Sol and the Museo del Prado offering avant-garde design. 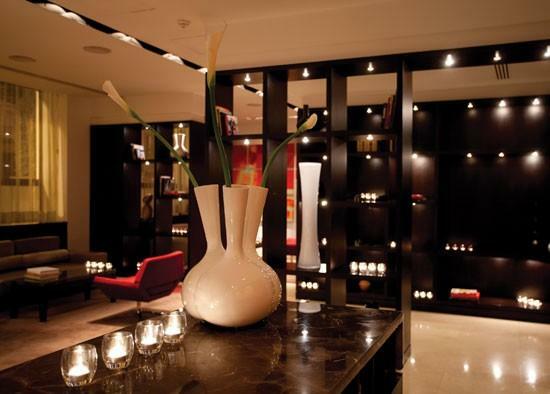 It is the ideal location to visit for those who are coming to the city to shop, sight see and visit the attractions. This dynamic hotel, combined with an upbeat style, is the first impression as one enters the hall, taken care of by the "Experience Manager", the "Experience Manager". We will surprise you by the design and the history, this ME spirit has gone above and beyond a simple vacation, it is a way of living, not just a place to live. 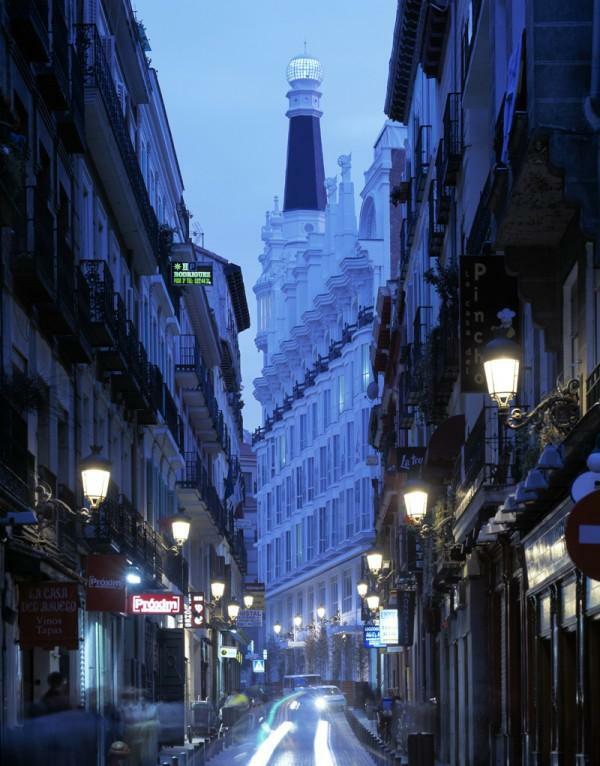 We are near the night life of Madrid, and we offer special packages for small animals. 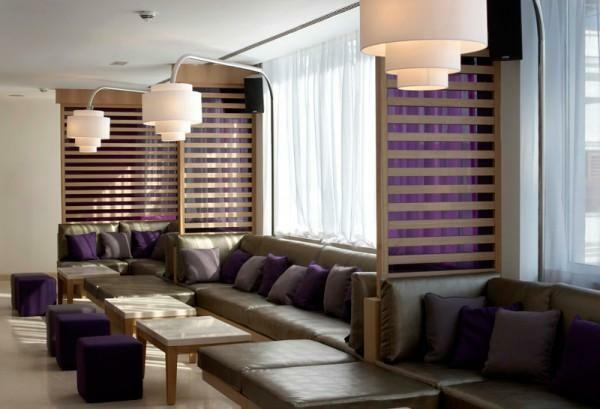 It is the ideal location for a romantic getaway and a perfect atmosphere for gay clientele. 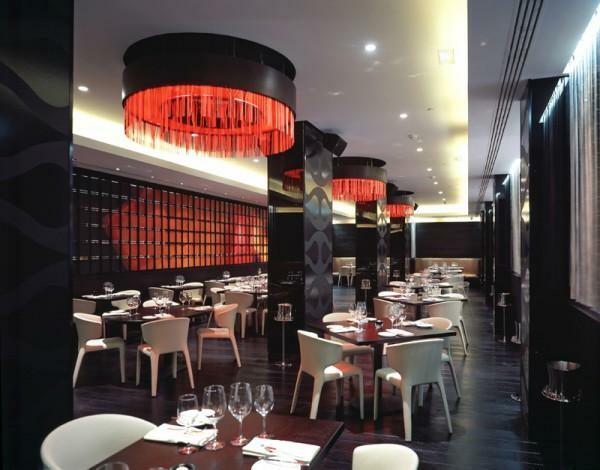 Our RESTAURANT ME RESTAURANT & LOUNGE is divided into two: ME RESTAURANT & LOUNGE prepares Mediterranean style cuisine with Italian, American and Asian flavours, prepared with seasonal products. There are two private rooms that accommodate between 8-10 persons. The DINING ROOM, is where we serve our abundant Mediterranean style breakfast including both European and American a la carte favourites. 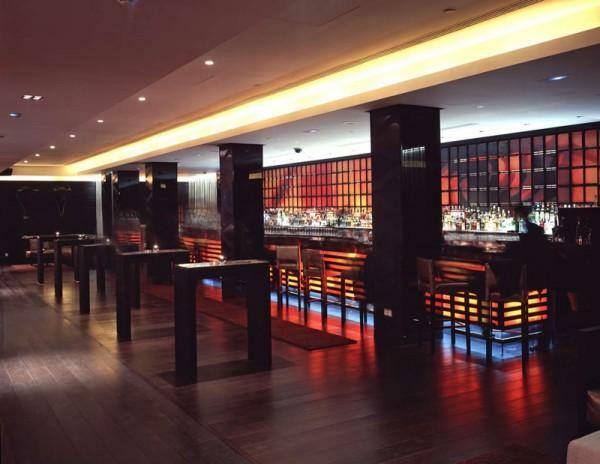 The ME RESTAURANT & LOUNGE faces onto the Plaza Santa Ana where you may enjoy a cocktail or Sunday brunch. 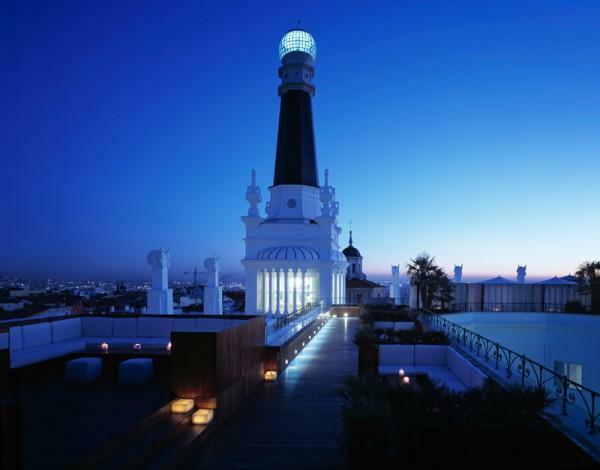 THE ROOF BAR & TERRAZA is found on the terrace where you will enjoy spectacular evenings under the stars with wonderful views of the city. 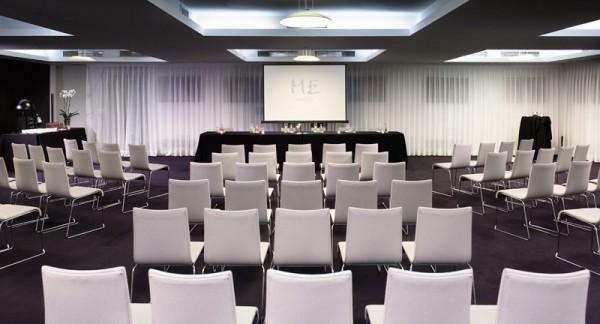 For your meetings, the Hotel ME offers a room measuring 409m2 for up to as many as 210 people, able to configure into 7 different rooms of different sizes. 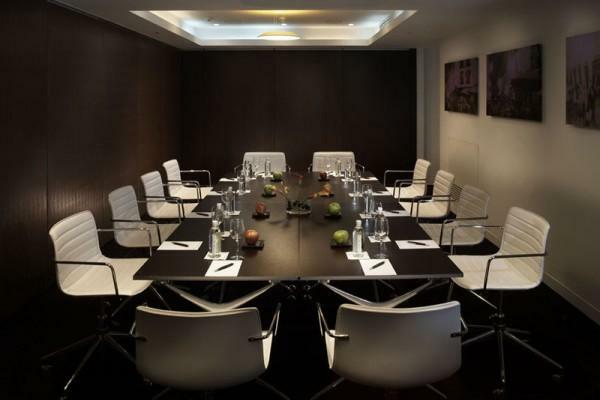 This is perfect for organising smaller meetings, press conferences, work related meetings and dinners. 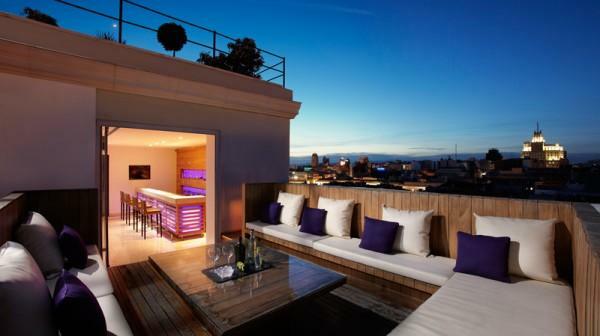 The terrace THE ROOF offers a wonderful context for parties, and the private VIP, can accommodate up to 40 people for those who wish to celebrate with a bit more privacy. Our guests will enjoy the various services offered by the hotel: 24 hour gym, laundry service, dry cleaning, personalised door service, business service open 24 hours 7 days a week, high speed internet connection, porters, scanner and computer, complimentary daily newspaper, wake up call and "everything is possible " reception service.